The Heal Yourself Expo is designed to educate, inform and empower people to the ways means and choices available to them to heal themselves. The “Heal Yourself” concept has always been a difficult one to get passed a lot of people, corporate identities especially, to paraphrase one wholesaler “why would I want to get involved in anything where you are getting people to heal themselves and no longer need our product”. But that is exactly what this Expo is about! Educating people to make the right choices for themselves, not the person next to them, sisters, aunts, uncles, parents, friends included. This Expo is all about assisting people and educating people so they can heal naturally. That is not to say that there aren’t products out there that people can take to assist and maintain good health but it is about educating people to make the choices that suit them and is in integrity. Do you want to know more about the Expo, than watch this short interview. 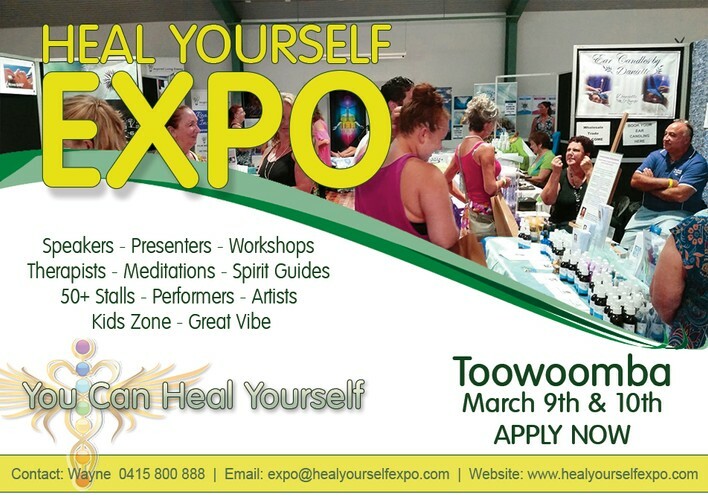 For more information, please email Wayne at enquiries@healyourselfexpo.com or call me on 04 1580 0888.